How does Marchesa work with Underworld Cerberus? Can an exploit also pay the price of "sacrifice a creature"? 0/0 Tokens can be sacrificed? I like your build here so far; Saprolings are a favorite of mine. I think you should go with the new Smothering Tithe instead of Awakening Zone . I think it will trigger more reliably and consistently, and therefore be better ramp for you. I'm also a fan of Slimefoot, the Stowaway . 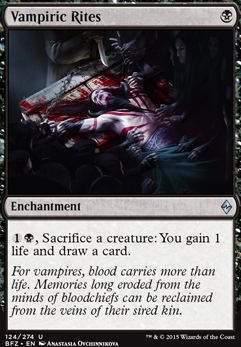 I like Vampiric Rites in here, as it fits for when you want to sac creatures for effects. 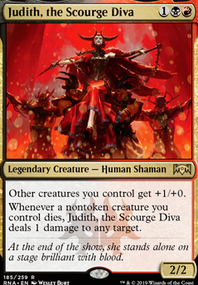 Consider adding Thallid Soothsayer as well. It works a bit smoother, as its effect costs as opposed to a color, which is nice in a three-color deck. I'm also a fan of putting in Greed for card draw, as sometimes you just want to fill your hand. 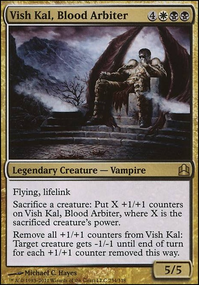 With all of the dying, I'd recommend the ever useful Blood Artist , Vindictive Vampire , Zulaport Cutthroat , and the like. A steady life drain is always useful. Want some quick ramp? Cabal Stronghold is a great ramping land that works similar to the pricier Cabal Coffers . Card draw and a sack outlet on a budget? try the simple Vampiric Rites . Not a free sack, but its simple, cheap, and you gain a card draw in black without losing life. 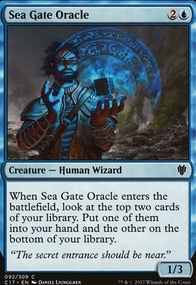 If you want to go infinite on cheap, try using Requiem Angel , a free sac outlet, one of the life draining cards I recommended (it'll be easier with Zulaport since it affects everybody), and a single non-Spirit creature with your Divine Visitation. Hi! 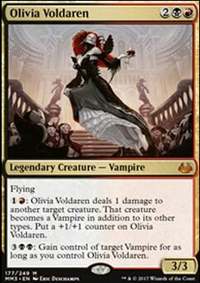 I'm also a fan of Vampiric tribe and I like your deck. Some ideas. I think you can replace Razaketh, the Foulblooded with Doom Whisperer . Whisperer is a very powerful card especially when paired with Twilight Prophet . I also recommend to look at Mavren Fein, Dusk Apostle and Elenda, the Dusk Rose - both are great token generators. 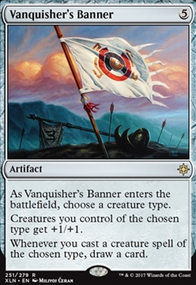 Not sure about Duress - it's fun in Standard but I think it's mediocre in multi-player format. Replace it with Vampiric Tutor (depends on the budget of course). 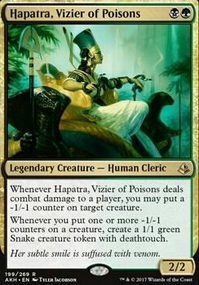 Speaking about removals: Bedevil and Vraska's Contempt look promising. And don't forget about card advantage! It's vital in EDH. Phyrexian Arena , Necropotence , Underworld Connections , Vampiric Rites (by the way it works well with Blood Artist ) - you definitely need at least one of these. You also need Wrath of God or Damnation as board wipes and Unbreakable Formation as a protection against board wipes (optionally). Good luck in brewing! I mean if it works better in your play groups then do it! I just love Twilight Drover + Teysa, Orzhov Scion a lot! 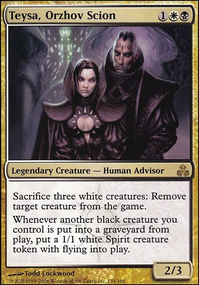 It helps me in slower games and I can't wait to see it work with Teysa Karlov . Oh I think I forgot to mention Requiem Angel since she only cares about it being a spirit or not, you don't seem to have any spirits besides the dragons. So Elendra's vampires, Wurmcoil's wurms, if you ever run Army of the Damned etc. I know you aren't as token focused as I am though. I think Vampiric Rites would be good in this.